If you are looking to buy the best grill for the upcoming summer, you will be surprised at the wide range of selection available in the market today. 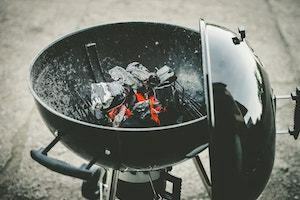 Hence, in this BBQ grills guide, we’ve gathered and researched all the necessary information about grills and provided you with our summarised information about what to look for when buying one. 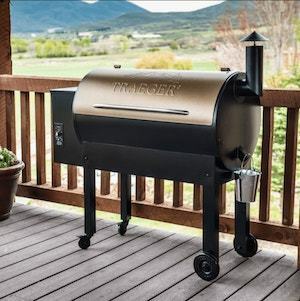 We will be covering the different types of BBQ grills, the important features that need to be looked at while buying one, along with many more information about where to buy and which company makes the best grills. We have also done a detailed review on the best grills for under $500, so check it out if you want to buy one now. WHO MAKES THE BEST BBQ GRILLS? A BBQ or a Barbeque grill is a tool that is that helps you to cook various types of food by the process of applying heat from below the grill. BBQ grills are mainly used for cooking dishes during outdoor parties and are broadly classified into two categories, gas fueled or charcoal BBQ grills. For first time users, please read our article on how to use a gas grill for the first time before using them. The Gas grills are one of the most popular grills and also the easiest to operate when compared with Charcoal and Electric Grills. The heat is produced instantly and hence your cooking time is largely reduced. Also, the food in the Gas grill is evenly cooked. 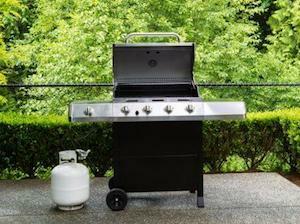 But the only thing about the Gas Grills is that it operates in propane bottles and need to be refilled when empty, which could be quite expensive. But instead if you have a gas line which can be hooked up to the grill, then it not as expensive as propane bottles. Even though Gas grills are expensive than the other two, but if you are looking for faster cooking options, then gas grills are your best bet. If you are looking for a portable grill which you can bring for camping, picnics etc, Weber Q1200 Liquid Propane Grill definitely a good option. Camp Chef FTG900 has been concluded as the most versatile grill. The model Rogue 425 and Prestige series from Napoleon Grills, and Weber Spirit E310 have been receiving lots of compliments from the users. If you want to go the traditional way of barbequing, then better go for Charcoal grills. They are also the least expensive when compared with other grills. But it takes quite some time for grilling and you need to be on the watch to see that your food doesn’t get burnt. And you just need some charcoal to get started with your grilling. Charcoal grilling also gives your meat that kind of smoked and juicy flavor. The famous models include Pit Boss Kamado, and Weber Smokey Mountain. Read our tips to find out how to cook a perfect steak. If you are looking for a quicker grilling option, then you can go for Electric grills. And it is not messy like Charcoal grills and you just need a power outlet to get going. But the only downside of electric grilling, you can never be able to replicate that smoky flavor that you can achieve with the gas or charcoal grills. Pellet grills runs on electric but the energy is use to burns the pellets instead. It normally comes with the most advanced digital control and is the most professional kind of grills in the market today. 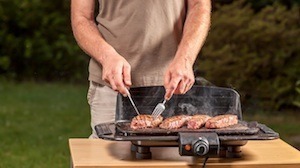 It has all the tools and gadgets needed for anyone to prepare the best grilled food. It is also super easy to use and clean. Hence, it comes with an expensive price tag, but is definitely worth the money if you are a fan of grilled food. One of the main reasons why any grilled food cooked by this grill is super delicious is because of the wooden pellets that serves as both fuel for the food and also as a flavor enhancer that adds the taste of wood smoke. 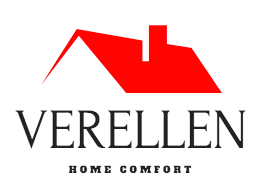 Here are some examples of the best pellet grills reviews. The most important thing to consider is the size of the grill you require and it depends on your budget or the amount of space you have. If you regularly host large get-togethers and outdoor parties with family and friends, you can go for a large grill. But if you only grill during the weekends only between your families, then probably you can go for a smaller grill. Make sure that adding burners and warming areas to the grill will also increase the size of the grill. The next factor is the material in which the grill is made up of. Even though you lay your hands on grills that are made using aluminum and sheet metal, you cannot be guaranteed of a longer life with grills made using these cheap materials. The best option is to go for grills made using stainless steel as they are easier to clean and maintain and also rust-resistant. Also, take a complete look of the grill, whether it is wholly made of stainless steel, or whether the knobs and handles are made using plastic. Make sure that good quality plastic is used here or else these knobs can easily get worn off. Next aspect is to look for the BTU rating of the grill as the BTU or British Thermal unit is the measurement of the maximum heat produced by the burner. And it doesn’t mean the higher the BTU rating means larger amount of heat will be produced. It all depends on the structure and size of the grill. 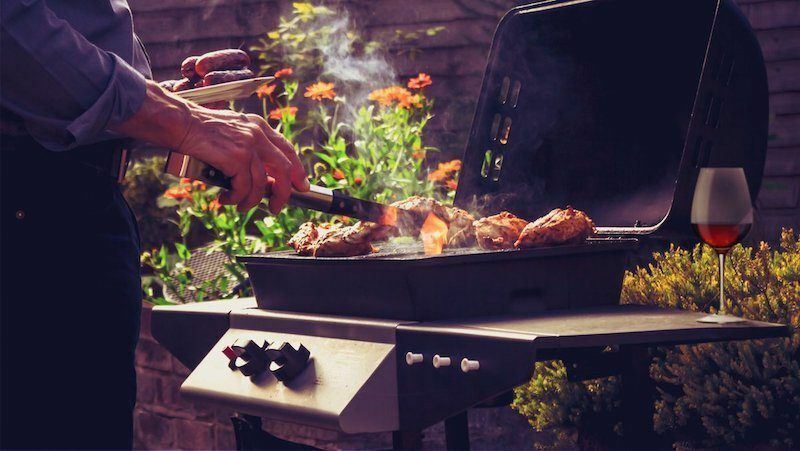 BBQ grills comes with a lot of bells and whistles attached and don’t be tempted to buy every accessory, but only go for the accessory that you may really require as unnecessary add-ons not only will increase your budget and also increase the size of your grill. Oh and by the way, proper care and maintenance of the grills are very important too. Read this article to find out how to clean your bbq grills efficiently. 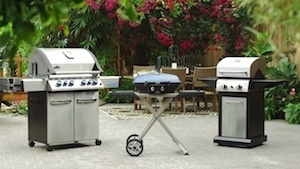 BBQ Grills are available in many of your local surfing stores and you can even order from many online websites. But of you are looking for the Best BBQ grill along with other accessories, then you can check out some of the places provided below that offers top notch grills at reasonable prices. We hope you enjoy our bbq grills guide. Feel free to leave any comment in the comment sections below and share this guide with your friends.